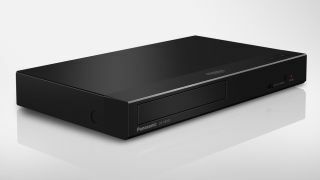 Panasonic has unveiled two high-spec new Blu-ray players at CES 2019, the DP-UB150 and the DP-UB450. Both players support the latest version of HDR, HDR10+, which allows the brightness of the picture to be adjusted on a frame-by-frame basis, which the company claims will to a more detailed image than ever before. The more expensive UB450 also supports Dolby Vision, while both players can passthrough Dolby Atmos via a third party sound system or soundbar, making for a totally immersive cinematic experience – if you have the right kit, that is. Right now, prices and availability for both Blu-ray players is still to be confirmed. Is Blu-ray the way to go? Although streaming services like Netflix and Amazon may be leading the race for how we consume movies and TV shows these days, there are still benefits to watching content on a Blu-ray player. Whether it's the uncompressed video quality and the additional special features of a Blu-ray disc you're after, or are looking to upscale standard definition or 1080p content to Full HD or 4K respectively, a great Blu-ray player can deliver a truly cinematic experience. If you're looking for a great Blu-ray player in 2019, check out our roundup of the best Blu-ray players in the world.